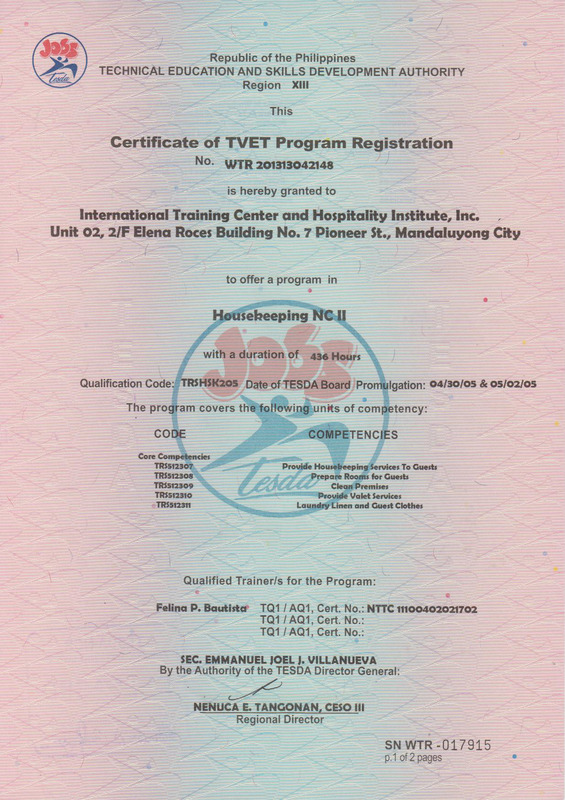 One of ITCHI’s key attributes is its international affiliation to recognised industry bodies, as well as our wide range of international industry partners like St. Regis, Regency Group, JAL hotels, InterContinental Hotels Group, Sheraton and many others. 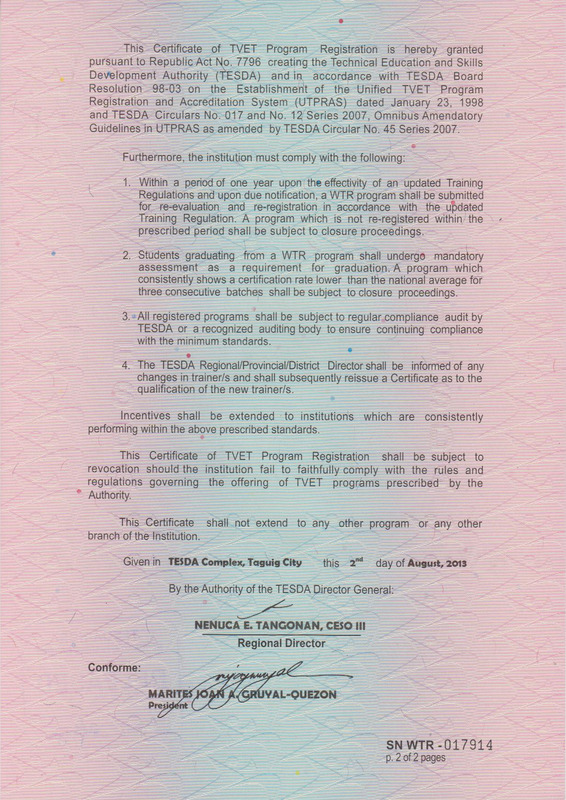 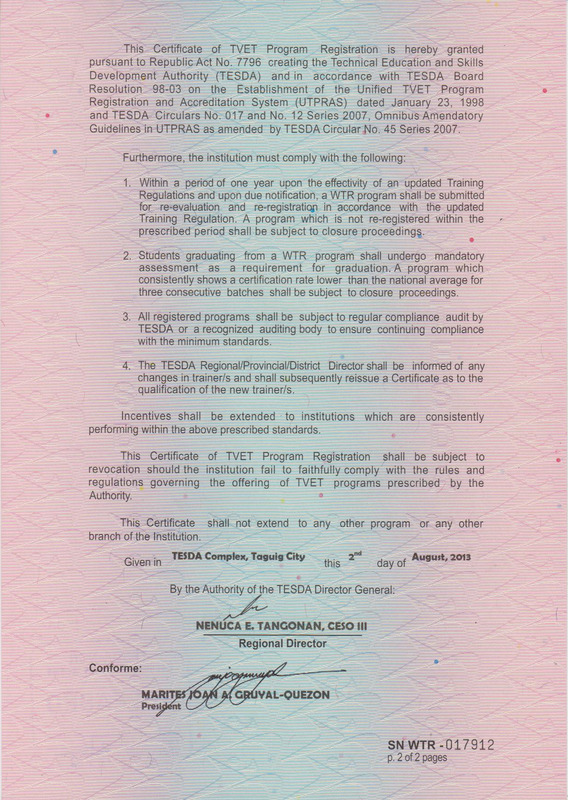 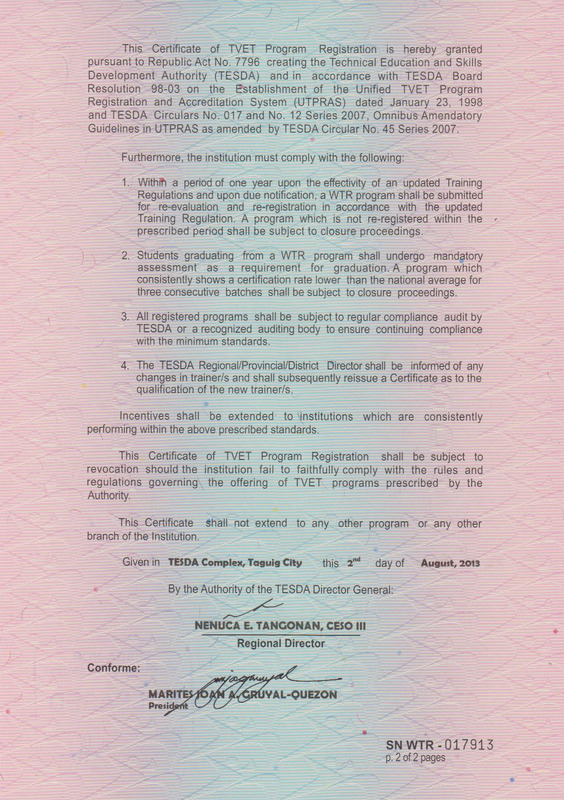 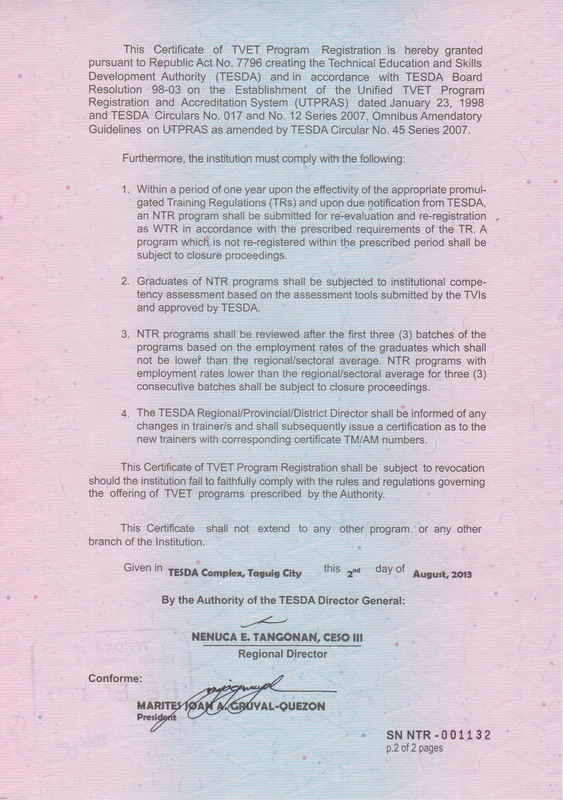 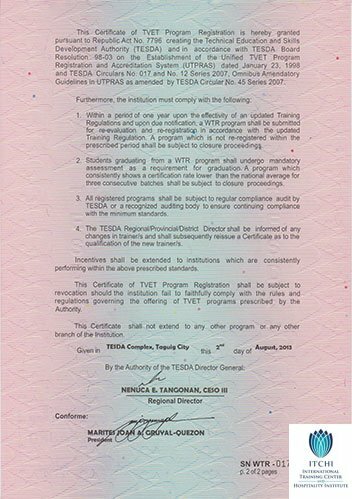 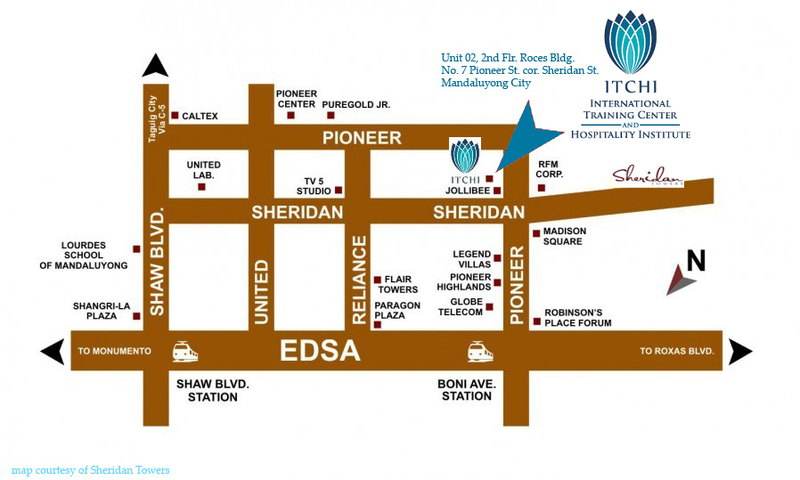 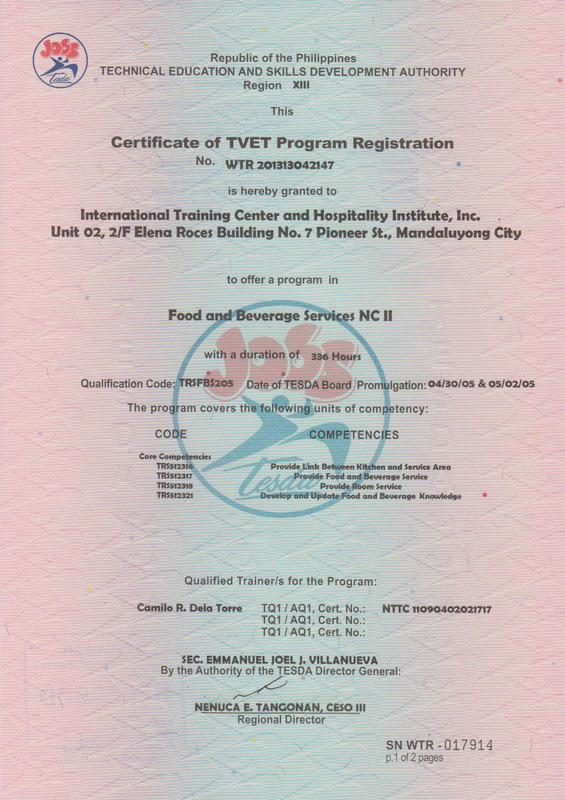 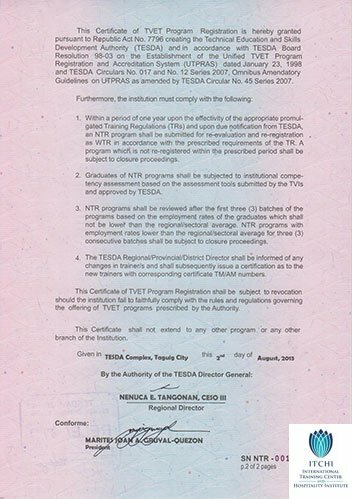 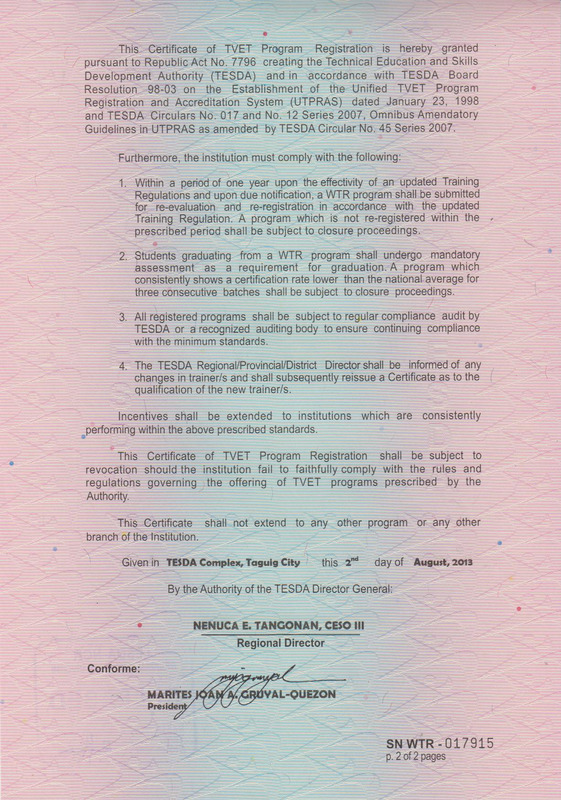 All our courses are accredited by the Technical Education and Skills Development Authority (TESDA). 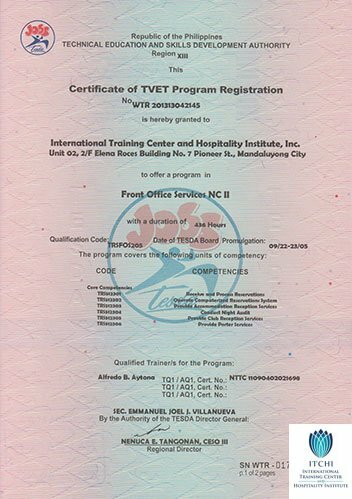 We conduct in-house training for employees of our partner hotels and offers different in-house programs which are delivered in specially designed classrooms. 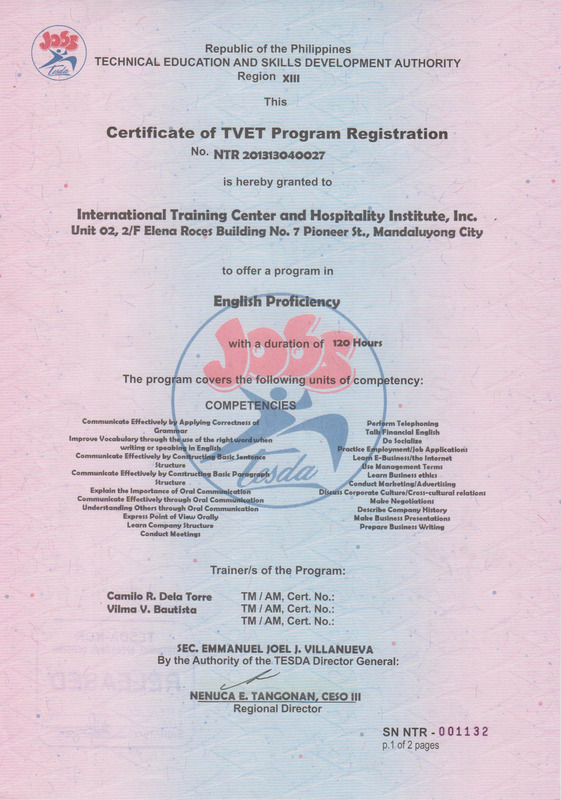 ITCHI works hard to make sure students receive the best training that suits their individual goals. 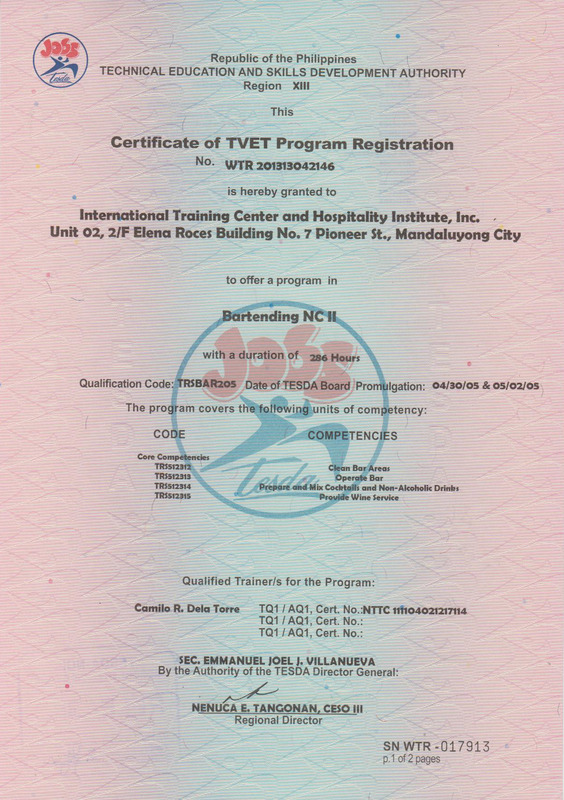 Trainers are hired with real industry experience to conduct and train relevant and challenging programs that will prepare the students for the real hotel profession. 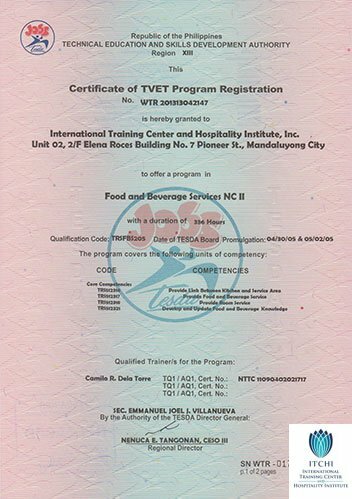 Just as in aviation training, simulators play a key part in our training – be it restaurants, bars, reception or hotel rooms – and facilitate hands-on learning and teamwork, while preparing students for real world challenges. 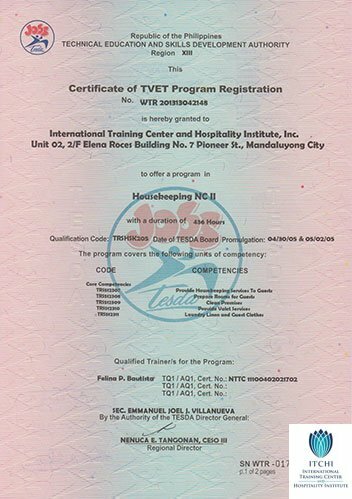 Our students learn and practice actual hotel standards and procedures and other elements essential in providing excellent guest services. 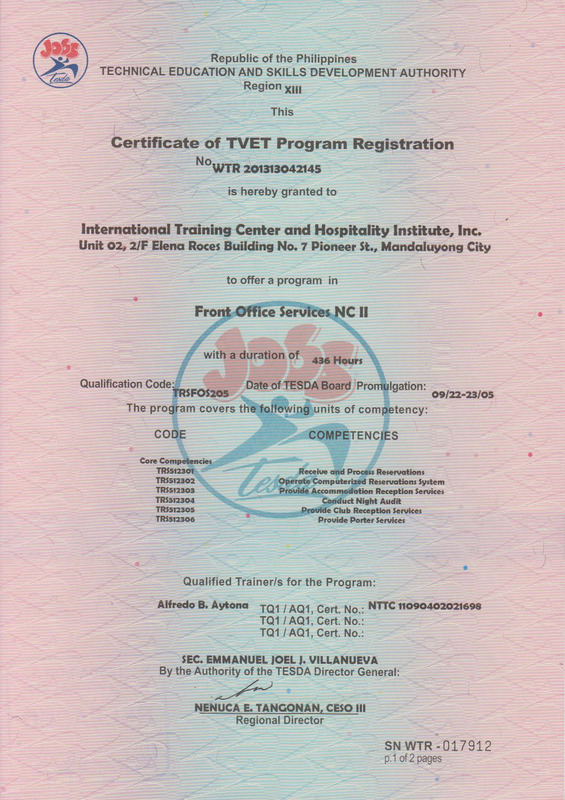 Our programs are structured around three areas: professional development, competency-based learning and teamwork. Our excellent industry contacts with top recruitment companies in the Philippines and major hotel chains in the Middle East help our students find job opportunities in hotels, resorts, restaurants, bars and other service areas. 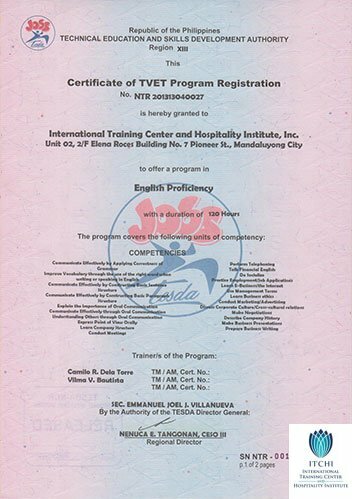 Guaranteed overseas employment is offered to successful students.